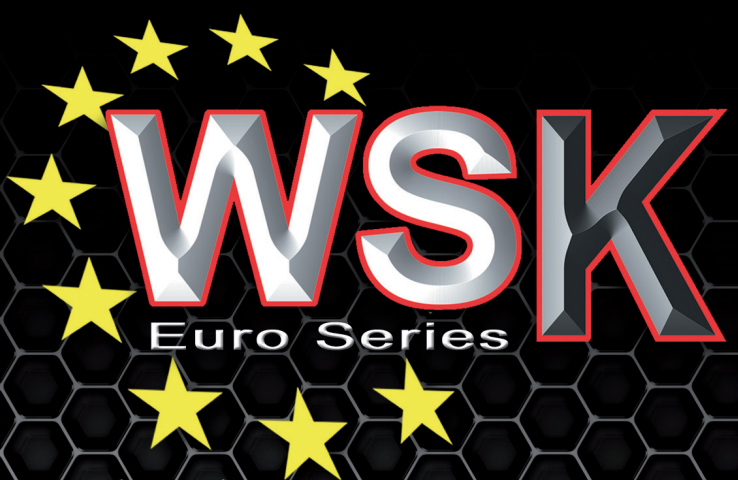 Barely a week following the conclusion of the Super Master Series, the International Circuit of Napoli in Sarno is again the stage of a WSK event. Back on track for the first time since 2013, the Euro Series is catching the spotlight this weekend gathering an impressive number of 200 drivers representing 47 countries from five continents. After the Free practices run since Thursday, it was time for Qualifying in Sarno for the four categories, 60 Mini, OK Junior, OK, and KZ2 before entering the opening Qualifying Heats at the end of the afternoon. Freshly-crowned winner of the WSK Super Master Series, Dexter Patterson (KR/IAME) is resolute to keep his usual pace and posted the quickest qualifying time in 56.917 seconds. The Swedish Dino Beganovic (Tony Kart/Vortex) tried to close in on the Scot and classified second. The opening Qualifying Heats followed in the afternoon and Lorenzo Travisanutto (KR/IAME) raised his game from 8th on the grid to win the race ahead of Matheus Morgatto (Tony Kart/Vortex) and Beganovic while some of the contenders including Polesitter Patterson ended up down the order after facing troubles. Click here for the full OK qualifying timesheet. Nikita Bedrin (Tony Kart/Vortex) led the charge in OK Junior where he set the fastest time in Qualifying with a lap completed in 59.143 seconds. The Russian preceded the Irish driver Alex Dunne (Tony Kart/Vortex) while Andrea Kimi Antonelli (KR/IAME), who claimed the WSK Super Master Series last Sunday, started his weekend with an eighth qualifying time. The victory quest continued in the afternoon with the first four Heats won by Dunne, Tymoteusz Kucharczyck (Parolin/TM), James Wharton (FA Kart/Vortex) and Laurens Van Hoepen (FA Kart/Vortex). Click here for the full OKJ qualifying timesheet. The Jamaican Alex Powell (Energy/TM) is back on top of the classification, a position that he had not occupied since last season. He posted the quickest time in Qualifying in 1:06.521 leading UAE’s Keanu Al Azhari (Parolin/TM). The four Heats run today were won by Powell, Joel Bergstrom (Parolin/TM), William Macintyre (Parolin/TM) and Andrea Filaferro (Tony Kart/TM). WSK Super Master Series winner from UAE Rashid Al Dhaheri (Parolin/TM) suffered a troubled start that saw him lose ground to his opponents in both the Qualifying and the Heats. After already posting the fastest time in KZ2 Qualifying last week at the closing event of the WSK Super Master Series, Lorenzo Camplese (Tony Kart/Vortex) proved to be on good form around the track of Sarno and repeated his performance by topping the leaderboard in 56.286 seconds. The Italian kept the French Adrien Renaudin (SodiKart/TM) behind him as well as Francesco Celenta (Praga/IAME, leader of Group B) and Alex Irlando (BirelART/TM), both topping the groups C and D heading for the Heats. Camplese kept pushing to win his first Heat as did Celenta in the following race where the recent Super Master Series winner Bas Lammers (Sodikart/TM) made his debut finishing third. Click here for the full KZ2 qualifying timesheet. As for every event in the WSK calendar, The RaceBox provides you with a special page with Live Timing and Live Streaming (by WSK Promotion, Sunday only) along with our complete reports published every day to keep you up to date with the results.